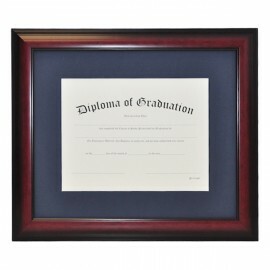 Gradshop.com’s Diploma Frames make the best graduation gift! It doesn’t matter if they have a small office in a Fortune 500 company or if they are starting up their own company, they will surely want to show off their diploma for everyone to see. 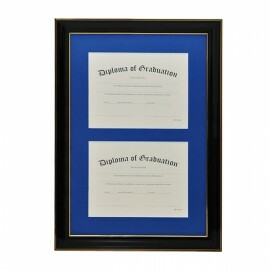 Display and protect your diploma in one our elegant diploma frames. Our frames can guard and protect against incidental damage from storage and handling while providing a safeguarded environment that upholds your diploma or certificate’s appearance. We offer a strong product line of custom solid wood diploma and certificate frames. 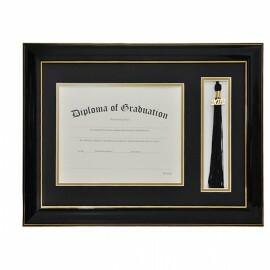 Our affordably-priced high quality custom diploma frames are readily available in our vast selection. These diploma frames are made from solid high quality wood and superior craftsmanship whether you need a diploma frame for a Single Document, Double Document, Horizontal Double Document, Triple Document, and the Tassel and Diploma Frame is our all-time favorite that proudly displays your graduation tassel as a keepsake. You can select the moulding color, mat color, inner accent mat, and consider the upgrading to UV Glass for additional protection. It doesn’t matter if you graduated years ago, graduating next month, or just proud parent; Gradshop.com is the #1 source for premium customized diploma frames. All of our gifts and accessories are offered at great low prices and huge discounts for bulk orders. Our dedicated and professional staff is devoted to helping you! Order now and save.